Pretty sure most of us girls are all the same, always looking for that perfect place for that perfect picture. I know my trips are now revolved around where I can sneak in a few minutes to get an Instagram worthy photo. Sad, but its true. Well, I had less then 24 hours in Vegas so that meant I had to get online and search some hashtags to give me some inspo. Wasn’t as easy as I thought. 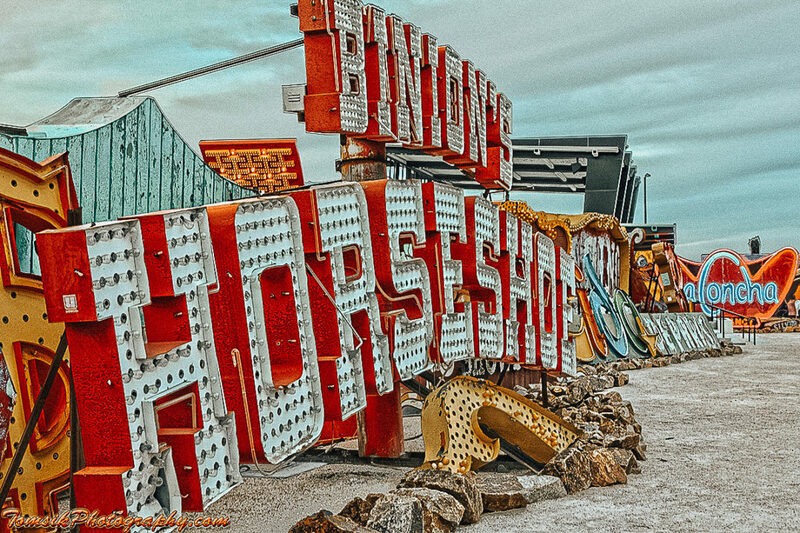 Unless I was looking for some dark and depressing strip clubs, old run down casinos or maybe a tattoo shop it was going to take more then a few #vintagevegas hashtags for what I was looking for. 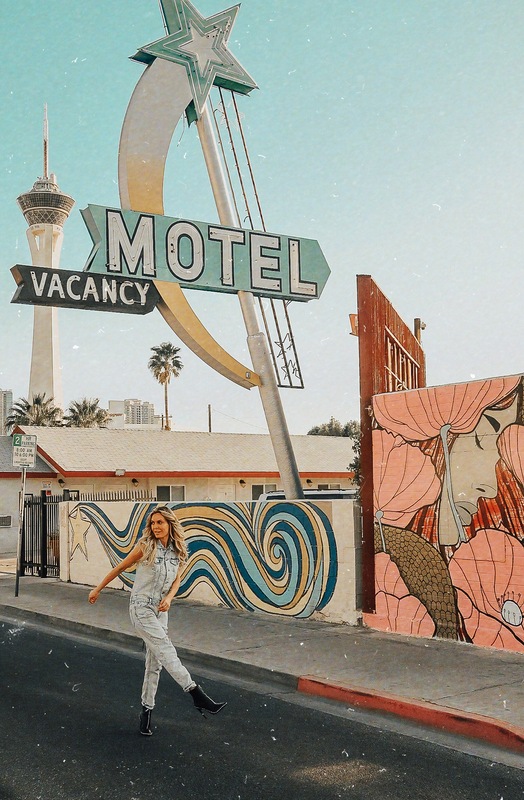 With only an hour before sunset I knew I had to kick off my heels, throw my walking shoes on and head north on the strip to find something off the beat and path….FAST! I wanted vintage and I wanted character. 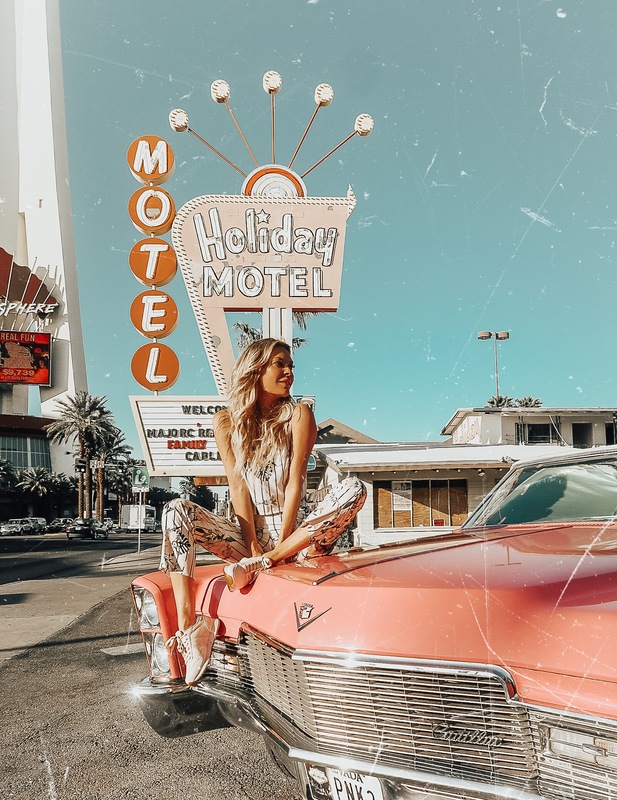 If you guys are planning on getting off the strip and getting some good photos I suggest asking the taxi driver to take you to old Hollywood before Fremont Street starts. 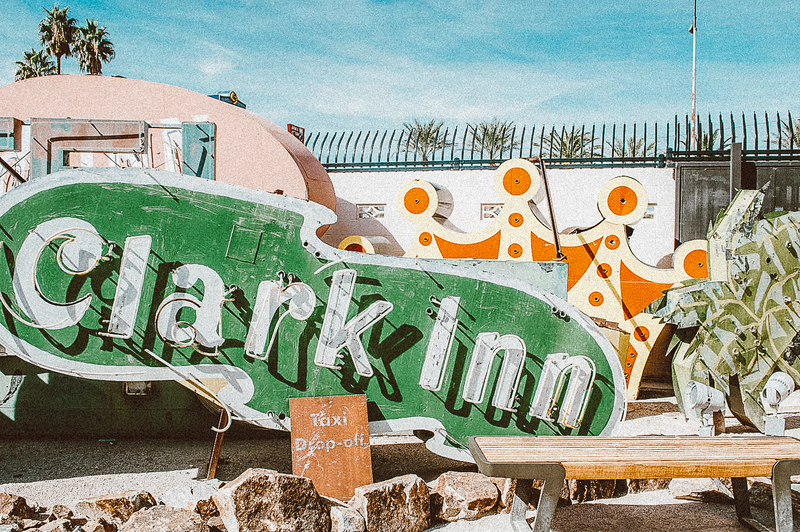 you’ll find tons of amazing old motels and chapels that are oh so picture worthy. Send some my way so I can see what ya’ll found.